The college’s Blues Band will combine classic blues with original student compositions during a free concert at 7 p.m. Tuesday, April 12, in the Bruce Owen Theater on campus. Director Terry Isaacs said the five-piece group includes drums, an electric bass, vocals, and three guitars. A few of the songs they will perform include “Rocky Mountain Way” by Joe Walsh, “Blues Before Sunrise” by Eric Clapton, and “A Change Is Gonna Come” by Sam Cooke. The band also will bring songs by BB King and the Mississippi Sheiks, in addition to playing original songs by OCCC student Kia Shorter, a musician who sings and plays guitar in the group. Students playing in the Blues Band learn how to play with other musicians, as well as write original music in the blues style, Isaacs said. Blues has a deep heritage in American history, originating in the deep South in the 19th century, Isaacs said. Blues rose to popularity in the 1950s, combining rhythm and twangy guitar with soulful vocals. 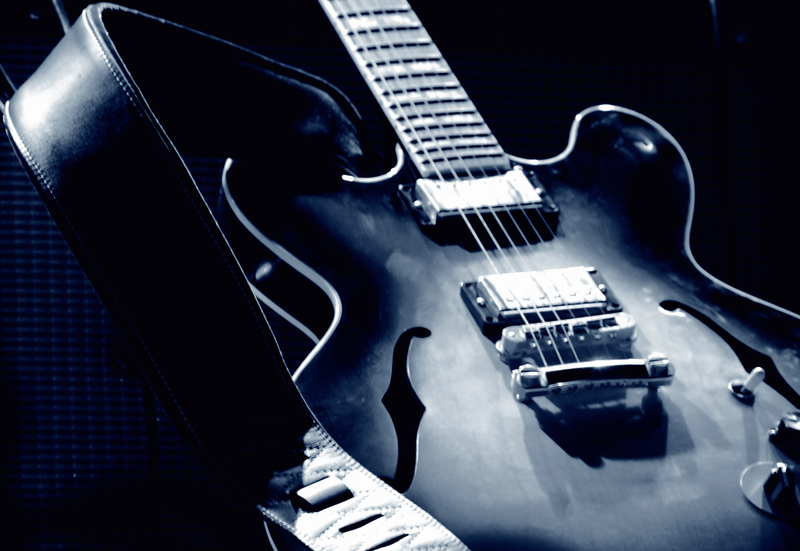 Rock ‘n’ roll took these core blues influences, and amplified them. The musicians have been meeting for three hours each week as well as practicing on their own since the beginning of the semester in preparation for the concert. “Every band member brings in a piece of music, and they work it out together,” explained Isaacs. Seeing how the students have grown in their ability to play and collaborate is his favorite part of this event, Isaacs said. Bassist Tiffany Shorter said she has only recently come to appreciate this style of music. Tiffany Shorter, who also performs vocals, and her twin sister, Kia, both play in the band. Four of Kia Shorter’s original blues compositions will be featured at the concert. Besides composing music, Kia Shorter plays guitar and sings. The other musicians are Ben Matyjacek, drums; Marta Seitz, guitar; and Richard Rouillard, vocals. For further information about the blues band or their upcoming concerts, email Isaacs at terry.l.isaacs@occc.edu.